Terra Incognita Docs is formed by a team of expert professionals with a long experience in conducting nature and travel documentaries. We know what we do and the most important: we like to do it. 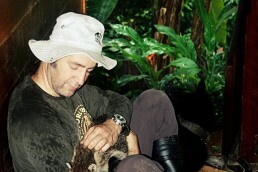 He has over 20 years experience in scientific outreach and directing documentaries and TV series. As a director, producer and screenwriter is responsible for creating more than a hundred documentaries, audiovisual works and television series such as “Worlds of Water”, “Wild Connections”, “The Hidden Universe,” “The Wars of the Wolf” “Wild Kingdom” or “Wild Menu”. 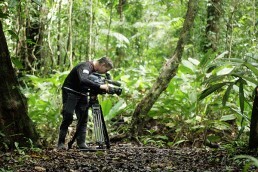 He is one of the most prolific directors of nature documentaries and most successful in Spain in the last decade. His documentaries are broadcasted worldwide through the most prestigious channels like Discovery Channel, France 5, NHK, RAI, Canal Plus, TVE, etc. and the series have been followed by more than 900 million viewers. In Spain, the average annual share of works from JARL in the last four years broadcasted at channel TVE 2 is 6.0%, almost two points more than the average for the chain. 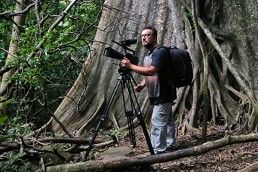 Is one of the best nature cameraman of in Spain and Europe. Many documentaries and credits television endorse his career as a camera operator and his international experience as director of photography for over 20 years has been recognized with several international awards for best documentary photography. He has collaborated for years with Juan Antonio Rodríguez Llano, founder of Terra Incognita Docs and has been director of photography for much of his work: “Worlds of Water”, “Wild Connections”, “The Hidden Universe,” “The Wars of the Wolf “” Wild Kingdom “or” Wild Menu “. Pablo’s experience in management and production is long. This graduate in International Relations from the Free University of Brussels and Master in International Communication at the Universidad Complutense of Madrid, photographer and artist’s soul, started his career in the media where he worked in the now extinct Grupo Recoletos (Pearson Group), then moved to the advertising, events and TV production. Its versatile and international profile allows the creative crew to focus on its work while the boat is safe and sailing smooth. It was formed in the ESCAC (School of Cinema and Audiovisual of Cataluña), obtaining the Direction degree in 2012. Since then he has combined work between fiction films, documentaries and advertising. Among his most outstanding works is the co-direction of the film “The Innocents” (ESCAC FILMS 2013), awarded in the FangoFest d ‘Amposta 2014 and the Blood Film Festival 2014; the direction of the short film “Dinosaur” (ESCAC FILMS 2013), winner of the 2014 Filmfest GRANADA, José Riera Ruiax Contest 2014 and New Authorship SGAE 2013; direction and camera work of the documentary “Wild Symphony” (in postproduction phase) about the natural life in the tropical ecosystem. Passionate about travel, he served as camera operator on the promotional campaign of LHA, organization of Tibetan refugees in northern India. 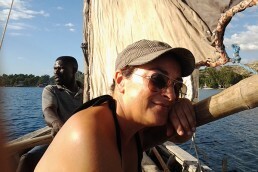 Graduate in Coomunication Sciences, has an experience of over 20 years in the filming and media industry. She began her career in television, first in Telemadrid and later in Telecinco where she coordinated the film programmingn and the selection of fiction purchases of the cannel. In 1999 she participated in the launch of Telespan2000 S.L., a film production company as Deputy Director. At this stage not only is involved in blockbusters like “The Other Side of the Bed”, “Days of football” or “Torremolinos 73”, but also develops and produces series for television and the Internet. In 2007 she embarks on the start up of the Study Center of Ciudad de la Luz, oficial film school of the Generalitat Valenciana, as Deputy Director and Director of Programs, where he has developed her work in recent years. Graduate in Communication Sciences and Master in Advanced Information Systems, he is also a graduate of the RTVE Institute. Santos began his career as a graphic designer, as Director of Photography in commercials and as assistant director in TVE. In 2005 he began his specialization in the world of TV documentaries at New Atlantis, one of the leading production companies in Spain. For 10 years he was a regular colaborator for Amprods, a company in which he participated in series like “Wild Life Stories” and “Iberia”. 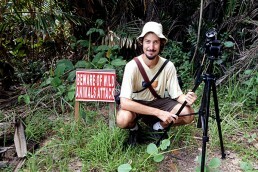 In 2013 he was responsible of the complete postproduction of “Wildmed”. 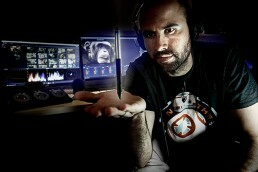 His career has always been characterized by desire to learn, to explore and implement new techniques of postproduction. 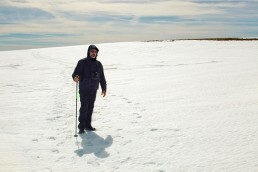 After leaving his studies in Biology he worked for thirteen years as a cameraman for the public Spanish TV (TVE) being responsable for the photography of a dozen documentaries. In 1994 he founded ARTEC, an editorial company that published more than 50 illustrated books of art and nature. In 2010 Pototo closes his company to pursue new personal projects while continuing its editorial and photographic work. Since 1999 he has been involved with digital HD photography and currently works as a camera operator for Terra Incognita Docs as a return “to his origins”.